NEW YORK--(BUSINESS WIRE)--Nickelodeon, the number-one kids’ network, detailed its plans for serving the new and next generation of kids on new and next-generation platforms as it heads into the 2018-2019 season. With content plans spanning its ecosystem, Nickelodeon announced: its largest content pipeline ever--more than 800 brand-new episodes of new and returning series--a 20% increase over last year; opportunities in social through original short-form content; a reboot of Teenage Mutant Ninja Turtles and a remake of the preschool entertainment landmark, Blue’s Clues; moves into areas of emerging tech, with original VR and AR experiences; and location-based experiences, like this summer’s family musical festival, Nickelodeon SlimeFest. Details were unveiled during the network’s annual upfront presentation, held today at New York City’s Palace Theatre, home of the critically acclaimed SpongeBob SquarePants: The Broadway Musical. During the presentation, Zarghami previewed the network’s upcoming content slate which includes: a development deal for Los Casagrandes, a brand-new companion series for animated hit The Loud House; Pony, a new animated comedy series developed by Nickelodeon International in the UK; a new game show, Keep It Spotless, executive produced by WWE Superstar John Cena; a second season of Lip Sync Battle Shorties, starring Nick Cannon and JoJo Siwa; the reimagined Rise of the Teenage Mutant Ninja Turtles; a remake of the groundbreaking series Blue’s Clues; and Musical Dares, a new short-form series created and executive produced by Nick Cannon, and the first project by Viacom Digital Studios for Nickelodeon’s YouTube channel. Nickelodeon also reviewed plans to continue expanding its footprint through innovative new partnerships and technologies. 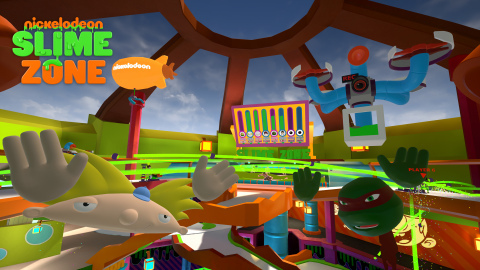 Today, Nick announced a new partnership with IMAX to bring to SlimeZone--its first multi-player, social VR experience--to select IMAX VR Centres globally this month. Plus, Nick is unveiling a brand-new AR mode for its number-one Sky Whale mobile gaming app, which averages two million active monthly users and has garnered nearly 30 million downloads. The network is also expanding its location-based offerings with Nickelodeon SlimeFest, produced in partnership with Live Nation, the multi-day music festival for kids and families will take place in Chicago, IL, June 9-10 and feature performances by Grammy-winning DJ and producer Zedd, Liam Payne, multi-platinum artist Flo Rida, and Lip Sync Battle Shorties and social media star JoJo Siwa. Nickelodeon also has created and launched a new brand campaign, called “That’s Me,” that showcases kids’ drive to be honest and authentic individuals who celebrate differences and diversity. Beginning this week, Nick will launch the first round of spots, which celebrates history-making women and highlights the brand’s longstanding legacy of strong female characters, to inspire and empower a new generation of girls. Nickelodeon is the number-one network for preschooler’s year to date, a leading position it has held for the past four years. Nick currently owns eight of the top 10 shows for Kids 2-5 this year, led by number-one-ranked PAW Patrol. Abby Hatcher, Fuzzly Catcher (26 episodes) – This animated preschool series centers on Abby and her new friends the Fuzzlies, who are amazing and quirky creatures that live in her family’s hotel. Together with her best Fuzzly friend Bozzly, Abby goes on wild adventures to fix Fuzzly mishaps and help them in any way she can. Produced by Spin Master Entertainment (PAW Patrol), Abby Hatcher Fuzzly Catcher features a social-emotional curriculum highlighting empathy, compassion and problem-solving skills. Blue’s Clues (20 episodes) – This remake of the groundbreaking curriculum-driven, interactive series Blue’s Clues will bring back beloved puppy Blue for an all-new generation of preschoolers. The new series will be produced with a brand-new, live-action host and CG animation. 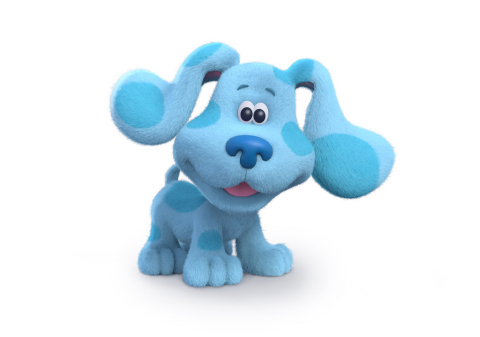 Blue’s Clues was created by Traci Paige Johnson, Todd Kessler and Angela C. Santomero. Butterbean’s Café (40 episodes) -- This animated series centers on a fairy named Butterbean and her adventures running the neighborhood café with her friends. Butterbean’s Cafe features creative cooking, and a social-emotional curriculum that highlights entrepreneurial and leadership skills. Created by Jonny Belt and Robert Scull (Bubble Guppies), the series will premiere later this year. Fashion Ally (working title, 40 episodes) – This animated series follows a little girl, Ally, in the high fashion world as she makes everything around her a bit brighter, bolder and more brilliant, one design fix at a time. Fashion Ally is created by Paula Rosenthal and produced by Slivergate Media (Sunny Day, Peter Rabbit). The Swashbuckling Adventures of Capitán Calavera (working title, 20 episodes) – This animated action-adventure series follows 8-year-old Robi Montes, a brave and kind-hearted pirate, as he embarks on daring rescues, searches for treasures and keeps the high seas safe from villains like the nefarious pirate Bonnie Bones in a fantastical Caribbean world. The interactive series is created by Niki Lopez, Leslie Valdes and Valerie Walsh Valdes (Dora the Explorer), and infused with a Spanish-language and culture curriculum. Nickelodeon is the number-one network for Kids 2-11 and Kids 6-11 year to date, with its February performance marking 18 straight months at number one with Kids 6-11. Besides being home to TV’s top two animated kids’ shows, The Loud House and SpongeBob SquarePants, Nick currently owns eight of the top 10 shows with Kids 2-11 and Kids 6-11. 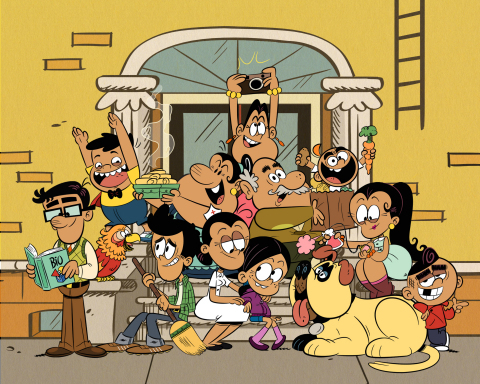 Los Casagrandes (working title) – A companion to the animated hit The Loud House, this series in development follows Lincoln Loud’s friend Ronnie Anne and his brother Bobby Santiago as they adjust to their new life in the city, where they now live with their big, loving and chaotic multi-generational family, the Casagrandes. Pony, an original 2D-animated buddy comedy that follows the life of an average girl, Annie, her (almost) average family and what happens when an excitable, unpredictable, loveable and talking pony comes to live with them in their city apartment. Pony is the first animated series to be greenlit for the U.S. from Nickelodeon International. 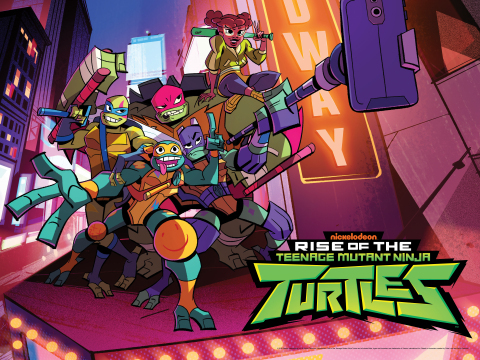 Rise of the Teenage Mutant Ninja Turtles (26-episodes) – This new re-imagined 2D-animated series follows the band of brothers as they discover new powers and encounter a mystical world they never knew existed beneath the streets of New York City. Along for the adventure is the Turtles’ most trusted ally, April O’Neil, a street savvy native New Yorker and Splinter, father figure and sensei to the Turtles. The series debuts later this year. Nickelodeon is the number-one network for Kids 2-11 and Kids 6-11 year to date, with its February performance marking 18 straight months at number one with Kids 6-11. Nick currently owns eight of the top 10 shows with Kids 2-11 and Kids 6-11, led by shows like top-ranked The Loud House, The Thundermans, and Henry Danger. Keep It Spotless (20 episodes) – This new competition series, executive produced by WWE Superstar Jon Cena, features real kids competing in a variety of physical and paint-filled challenges with one goal in mind—to stay as clean as possible. Produced by ITV Entertainment and Hard Nocks South Productions, and based on a UK format from Possessed, Keep It Spotless is scheduled to premiere later this month. Knight Squad (20 episodes) – This brand-new comedy, which premiered earlier this month, is set at a magical school for knights in training, where two mismatched students (Daniella Perkins and Owen Joyner) form an unlikely alliance to protect each other’s secret and pursue their dreams. Lip Sync Battle Shorties (10 episodes, season two) – The hit competition series, renewed for a second season, features real kids lip-syncing pop songs in celebration of their favorite artists, while competing for the iced-out Shorties mic. Production will begin in Los Angeles this summer with multi-faceted entertainer Nick Cannon returning as host, along with show sidekick JoJo Siwa. Musical Dares (10 episodes) – This brand-new, short-form series is a new twist on the classic concept of musical chairs. Created and executive produced by Nick Cannon, the live-action game show will combine real kids, physical competition and a full-blown dance party. Musical Dares is the first project by Viacom Digital Studios for Nickelodeon’s YouTube channel. Additionally, Nickelodeon’s pipeline is rounded out with TV Movies and tentpoles including, Rocko’s Modern Life: Static Cling and Invader Zim specials. 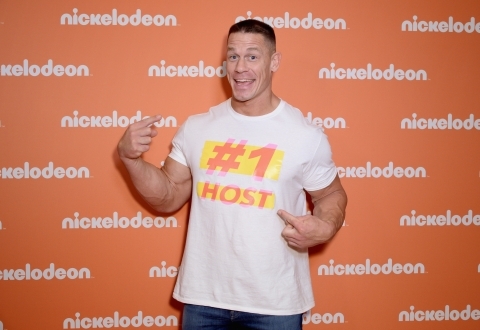 The brand will also feature three major TV events this year: 2018 Kids’ Choice Awards on March 24, with returning host and WWE Superstar John Cena; Kids’ Choice Sports in July; and HALO Awards in November.